This Morning a requiem mass is being held to pray for the soul of departed Ugandan Musician Moses Ssekibogo, best known as Mowzey Radio of the Goodlyfe Crew. Later in the day, his body will also be taken to National Theatre for public viewing. The singer will be laid to rest at 4pm on Saturday in Kaga located on Entebbe Road in Uganda. The musician died on Thursday morning at Case Hospital in Kampala where he had been admitted for more than a week over head injuries he sustained in a bar brawl. Meanwhile, Authorities of Entebbe municipality about 30 miles away from Uganda’s Capital Kampala have closed the bar from which the musician died. “Any forceful operations will attract a fine of Shs1, 000,000 to be paid to the Division A collection account in Stanbic Bank Entebbe Branch,” reads part of the letter by the town clerk to the bar proprietors. Until further notice, the Town clerk has also ordered that the bar premises be kept closed under lock and key. In the town clerks letter to De Bar proprietors, he orders for the premises to be kept closed under lock and key in observance of the order. Hassan Muwonge, a supervisor at De Bar told local Ugandan media that the was a regular client at the bar. Muwonge says the singer first went to visit his site where he is building a mansion in Bunono Katabi Town Council before proceeding to the bar to meet a friend only known as Pamela. “Mowzey called Pamela and told her he is coming to Entebbe and wanted to see her. She told him to find her at De Bar and they kept on communicating with the singer until he arrived,” he said. “Pamela came and told us that Radio is coming here, so I called him and asked if he was in Entebbe. We were very happy when he came and started to drink. It was a fun night but at about 9pm, he got drunk and started getting rowdy,” Muwonge adds. The singer reportedly started insulting George Egesa, the owner of De Bar. Egessa reportedly ordered a waitress to bring Radio a bottle of Black label. However, Radio opened the bottle and instead started pouring its content on the floor and the patrons who were seated at the table. He went ahead to insult Egesa and friends. The visibly irritated Egessa ordered Pamela and Radio out of his bar. “We were alerted by a waitress that Radio had started a fight with some guy outside the bar. 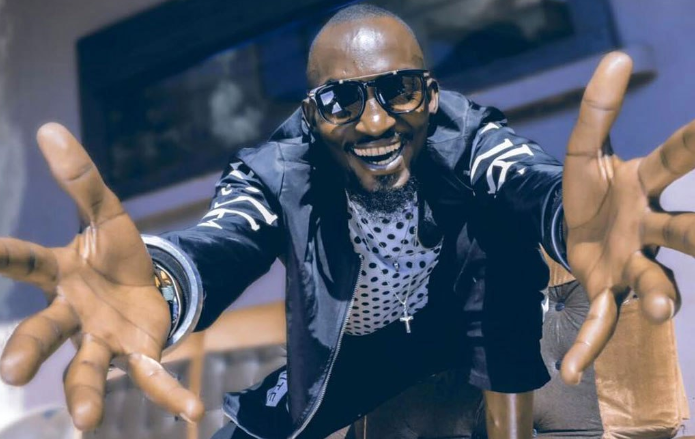 When I ran out, I found Mowzey lying on the ground after being beaten,” Muwonge said. Muwonge said he then put the unconscious Mowzey in his car and transported him to the nearby Emmanuel hospital Katabi for medical attention. He left him there and went back to the bar to finish his shift. According to Ugandan Police, the bar owner Egesa and Saviour Xavier were arrested and are currently detained over the incident.